Just a 4 mile drive from Shoal Bay Beach, Ocean Terrace Condominiums is located on the southeastern coast of Anguilla and it offers a freshwater pool, a sun terrace and gym. 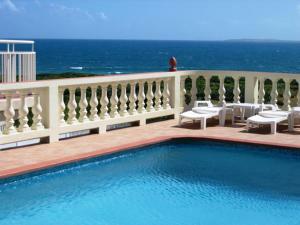 Each bright air-conditioned apartment has wonderful views of the Caribbean Sea. 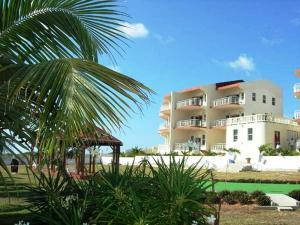 The elegant Ocean Terrace apartments feature furnished terraces, free Wi-Fi and a living-dining room with cable TV. 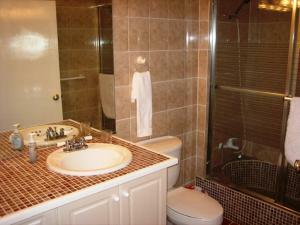 There is also a bathroom, a walk-in wardrobe and a kitchen with an oven and dishwasher. 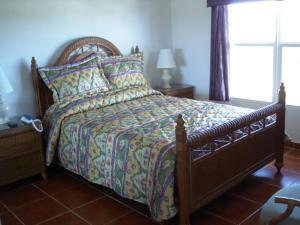 Daily maid service is included, while a private chef and laundry facilities are available on request. Car rental can be arranged and free private parking is provided on site. Ocean Terrace Condominiums is situated just 5 km from Anguilla Wallblake Airport, while Blowing Point Ferry Terminal is 11 km away. Shops and restaurants can be found within a 5-minute drive.